Tony Romo may have been a great football player, but he's an out of this world commentator. Since his debut as a sports broadcaster, the former Dallas Cowboys quarterback has a made a new name for himself by accurately predicting play calls. I mean, like, precisely. His stellar - and some would say supernatural - commentary has earned him his first Superbowl gig. Here were just a few examples of Romo perfectly predicting plays at the New England Patriots/Kansas City Chiefs playoff game Sunday night. Before the players had a chance to snap the ball, Romo knew that Brady was going to find Gronkowski out wide in one play and pick out Edelman down the middle in another. Here’s a montage of Tony Romo correctly calling plays before they happen. Fans started giving Romo some fun nicknames. Some wondered if he was from the future, or if he "lives 30 seconds ahead of everyone else." Others called him a "witch." Sports analysts, meanwhile, have started to decipher how Romo is able to predict these games so astutely. The Athletic asked him how he did it, and he explained that his experience as a quarterback comes into play. "How is this going to be broken down, or could it be broken down and what would I do if I was right there at the quarterback position?" Romo asks before the start of each play. I don’t pretend to have all the answers. I do think in some ways I have studied the game for 20 years and, at my core, I have tried to improve and get better at football. I think that has really helped me do this job, where I just know a lot of stuff that I have thought about over the years. It gives you a history. If you study a new language, you are just better at it 20 years later than you are year one. So, I have a lot of things to draw back on that have happened within games, or that I have thought about after a game that we should have done better. It is fun for me to get beneath football. As far as the broadcasting aspect of it, I think at the core it is nothing more than my ability to get you the viewer to care about this play, this game, and why is this important. Why is this really special with this coach schematically? Why did this quarterback protect this play? It’s like, can I get you to care about my story of my buddy who was drinking the other night? Do you care about the story I am about to tell? You are trying to get people to care about things. Washington Nationals baseball player Bryce Harper even got in on the fun. 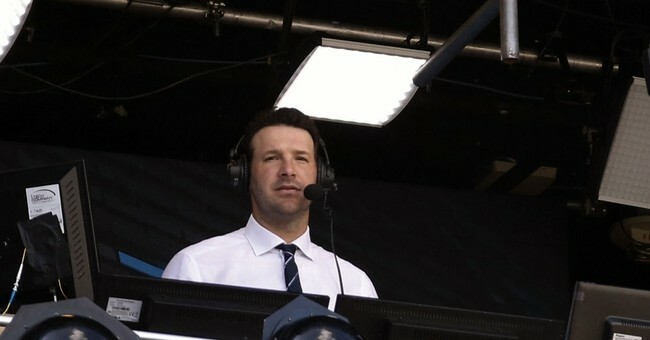 Romo will be mic'ing up alongside Jim Nantz, Tracy Wolfson and Evan Washburn for Super Bowl LIII on Sunday, Feb. 3. That is, if NFL teams don't start knocking on his door begging him to be their head coach.